PKS (Palm Kernel Shell) to be a hot topic of renewable energy source or fuel commodity currently in Japan. This is because PKS is the cheapest biomass fuel and is currently still available in large quantities. PKS is a waste of palm oil mill from CPO production. So it is automatically PKS is widely available in areas of palm oil mill or CPO producers, namely in Indonesia, Malaysia, and Thailand. Selection of PKS as fuel also its characteristics that can be poured, high calorific value and high density also. What about wood pellets? The world's leading producer of wood pellets today, certainly not Indonesia or other Southeast Asian countries, but North American and Scandinavian countries. Even for Indonesia itself wood pellet is a new thing, so its production capacity also not big. Wood pellet price is more expensive than PKS. Most wood pellets are produced in Indonesia from wood waste such as sawdust, wood shaving, plywood waste and so on. The development potential for quantity enlargement is also very possible with energy plantations. Technically the properties of wood pellets are not much different from the PKS. 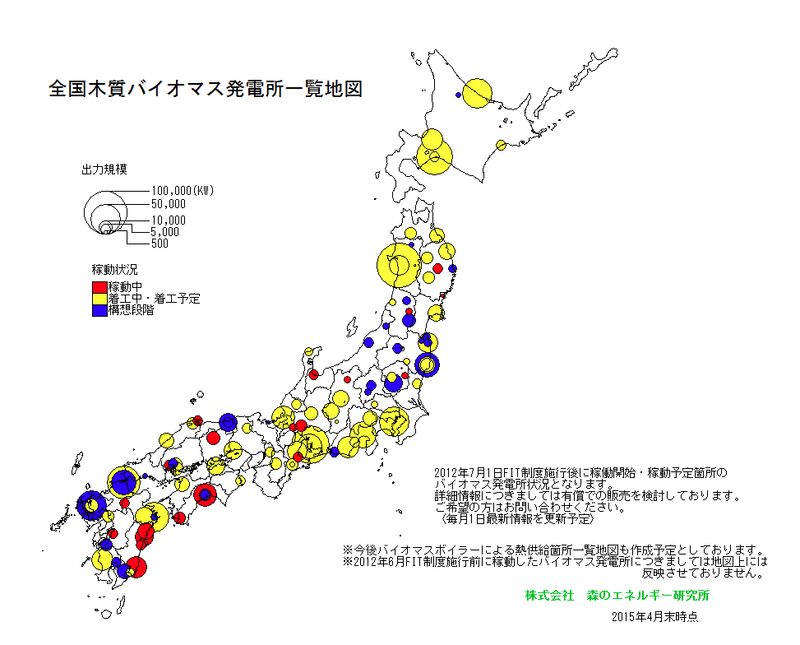 Japan biomass power plant status map, red means already operating, yellow means in the development stage, blue means in the planning. Biomass is one of the alternatives fuel of power plants in Japan, following the accident or destruction of the Fukushima nuclear power plant (NPP) in 2011. PKS becomes the favorite choice of biomass power plants there. Most of these biomass power plants use PKS as their energy source, and only a few operate with wood pellets. The large number of biomass power plants built, automatically also requires a lot of fuel supply. Most of the biomass power plants are built in 2015 and by 2017 some of them are in operation and by 2019 it is estimated that they are all operating, so it can be imagined the need and competition to get the supply of the PKS. Japan is a country that almost all rely on imports to meet domestic needs, this is because the potential of the natural resources is minimum there, including the energy sector. With a population of approximately half of Indonesia, their energy consumption is almost 5 times Indonesia, so practical energy needs including fuel is also huge. The biomass power plant that uses wood pellets predicts that in the next 1 - 2 years there will be a shortage of supply of PKS, so early on it has anticipated, although at present the advantage of selling electricity is smaller, because of its more expensive raw material (wood pellet) prices. With this experience they will confident if next years wood pellets become more common fuel. PKS must meet the specifications before being exported to the destination country. Some key specifications for PKS are: moisture content, calorific value and impurities or contaminants (foreign materials). All three variables must meet a certain level to achieve export quality. Japanese markets or their consumers generally require contaminants from 0.5 to 2%, while European 2% - 3%. A simple process can be done to get the quality of the PKS as above. 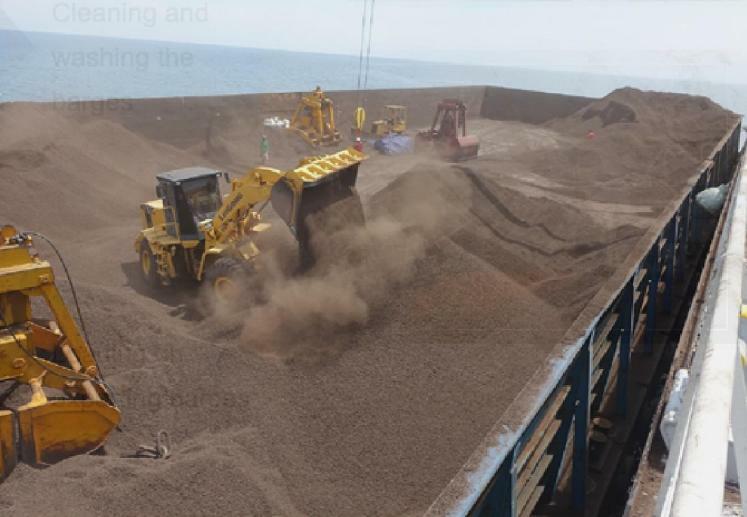 Japan usually buys with a volume of 10,000 tonnes per shipment or their import, so for PKS providers must prepare a sufficient stockpile for the PKS. The location of PKS stockpile that close to the seaport is the ideal condition to facilitate transportation to shipment. Wood pelletproduction process is more complex than PKS, so wood pellet is categorized as finished product. PKS can be said raw product because of its industry activity is very minimal and simple, as explained above. In the production process of wood pellet will include selection of raw materials and the properties namely : cleanliness, drought, size, shape and hardness. Based on the characteristics of these raw materials, the next process varies until become the wood pellet products. The wood pellet production process is very much like the wood briquette. The quality of wood pellet is generally viewed from its density, calorific value and ash content. Indonesia wood pellet export is not as big as PKS, it is also because of the limited producers of wood pellet itself. Japan buys wood pellets from Indonesia mostly for testing on their biomass power plants. Shipping or export by container is still common in wood pellet commodity because the volume is still small. For short-term orientation exporting PKS is a profitable business. This PKS some time ago only waste that contaminate and unworthy then large amount of it only used for road hardening and so on, but currently become a “hot” commodity. Wood pellets with raw materials from energy plantations by planting the legume types such as calliandra are medium-term solutions to meet biomass fuel needs in Japan. 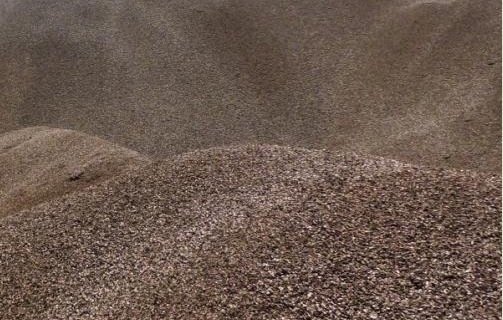 Torrefaction followed by densification can be a long-term orientation, so the torrified pellets product is superior to wood pellets because it can save transportation and facilitate handling, hydrophobic and higher calorific value. Government Regulation namely Indonesian Minister of Finance Regulation No. 67/2010 on Stipulation of Export Goods Subject to export duties (BK = Export Duties) have purpose to push downstream or production of various derivative products from oil palm including PKS. But the fact is not much that happened in the field related to PKS. In fact, many PKS providers are experiencing setbacks and even closed their businesses. This BK has made the price of PKS higher, thus making the market demand decrease. The higher the BK for the raw product and the lower the BK for the finished product the downstreaming will be faster, but it must be done through the process gradually, well-planned and comprehensive. Ideally the BK for the finished product is zero percent. Does the government ask people to wait next 2 years when PKS prices are high because their needs are projected to rise sharply? We don't know. While the best scenario is to reduce taxes so that the industries can grow so then they can start develop new products. Torrefaction of PKS becomes torrified PKS becomes the best solution for next development, because upgrading of PKS quality will give more economic value added. Carbonization or pyrolysis of PKS to PKS charcoal (PKSC = palm kernel shell charcoal) and then followed by densification into PKS charcoal pellets is also an attractive alternative.